Care to be Different > Articles > Care fees > Should you be paying care fees? When a relative first needs care things can feel bewildering – and it’s often a crisis point for a family. What’s more, the issue of paying care fees may be foremost in your minds. Many families report being hounded by health and social care staff, who ask continuously about money. It can make a difficult time even more stressful. “So will you be self-funding?” is one of the most frequent questions people get asked. However, when a person first needs care it’s entirely wrong for anyone to ask them about paying care fees – or to ask them about their money and/or house. Make sure you’re assessed for NHS Continuing Healthcare funding before anyone tries to means test you – and before you pay a penny in care fees. Remember that a family can’t be forced to pay top up fees. 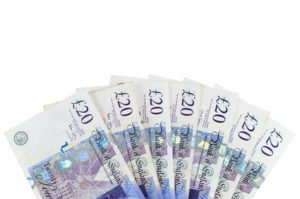 Make sure you tell your local authority when your money gets close to the savings threshold; they will need to pay. And above all, if anyone tells you that you’ll always be paying pay care fees if you have some money or a house, tell them they are wrong! If you’re new to care fees, get started here. Tip no. 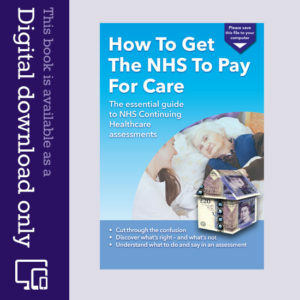 7: Who can you take with you to NHS Continuing Healthcare assessments? I asked the care Home about CHC and they agreed to set the process in motion and the assessment will be held at the care Home on Tuesday. My concern is that the manager who is now on the Board told me my husband, in their opinion, is eligible .. but then added ‘if he is granted it, it will only make a small difference to the care fees but will give them finance for more resources’ !!! So CHC will be paid directly to the care Home? My thinking from what I’ve read on your excellent website is that if he is granted it, then I can stop all our top up fees (£8,000 per year)? Howecer I fear I will have a serious conflict with the home which is worrying me. Thanks for your kinds words about the website, Jan. Yes CHC is paid directly to the care home and there is nothing for you to pay – no top ups, no contribution, nothing. The CHC agreement is between the home and the CCG. If the home have a problem with it for any reason, they need to address this with the CCG, not with you. You should not be asked for anything. Many thanks for clarifying. This means that I can legitimately stop my contributions to my husband’s care if he is found to be eligible and I will refer the home to CCG if they have a problem. If they go down the Funded Nursing Care route would I be able to reduce my top up payments to reflect this? Again, I have a feeling the care home would not want to pass the money awarded onto me – they would want to use it for ‘extra resources’ – can they do this? has rapidly deteriorated and is mmobile, doubly incontinent and has to be fed. I asked the care home if we could apply for NHS Continuing Healthcare (CHC). They agreed & the full assessment is on 3 April. My husband is not self funding, but I pay a top up. Alarm bells started to ring after I had a chat with the Care Home Manager. He told me he should get it, but added ‘if he does, financially it won’t make a big difference, only a small amount’! Two weeks later I had a conversation with the care manager who told me, ‘If he is eligible it will help us with getting extra resources’! I am completely shocked as from reading your website if he is given CHC, then his care home fees will be paid 100%! I ran this past the CHC team who confirmed that his fees would be paid 100%. My worry is that the Care Home is going to take 100% of his fees and pass a token amount back to me. I am feeling very anxious about this, as I’ve had awkward discussions with them in the past when we were agreeing our contribution. I have never been sent an annual statement. I was told our church was going to be asked to consider contributing a small donation to his care (it’s owned by a church community) I was never told one way or the other. I asked a few months ago if they were contributing and was told that I would ‘understand that it is a confidential matter between the home and my church’! Considering it is my account I am shocked at this response!! Hence alarm bells! I would appreciate your thoughts please. 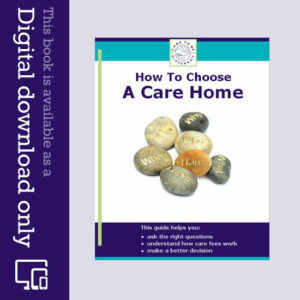 Jan – you might want to post your question on our Facebook page, too, as there are lively discussions over there: https://www.facebook.com/CareToBeDifferent/ It’s not up to the care home to agree to you having a CHC assessment; your husband should have one regardless. If he’s found eligible, CHC will cover all of his care costs, and you should not be asked for any top ups or other contributions. The CCG pays the care home directly.